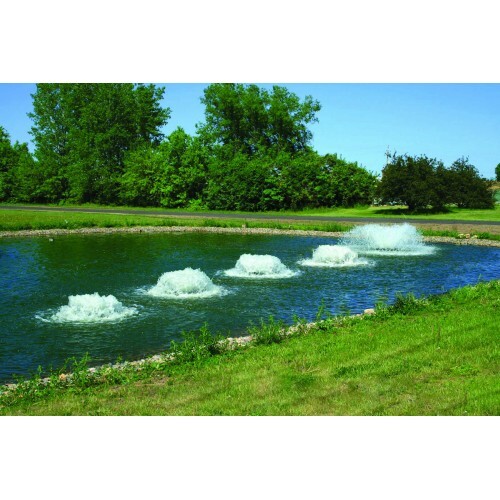 Kasco aerators are designed for continuous duty to maintain consistently high levels of dissolved oxygen in aquaculture applications. During operation, bottom water is pulled upward and thrust into the air without kicking up bottom sediments. The powerful thrust of Kasco aerators increases oxygen transfer by atomizing each molecule of water so it absorbs the greatest amount of dissolved oxygen. 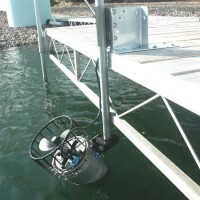 Kasco aerators are lightweight, easy to install and operate, salt water compatible, and include a two year limited warranty.